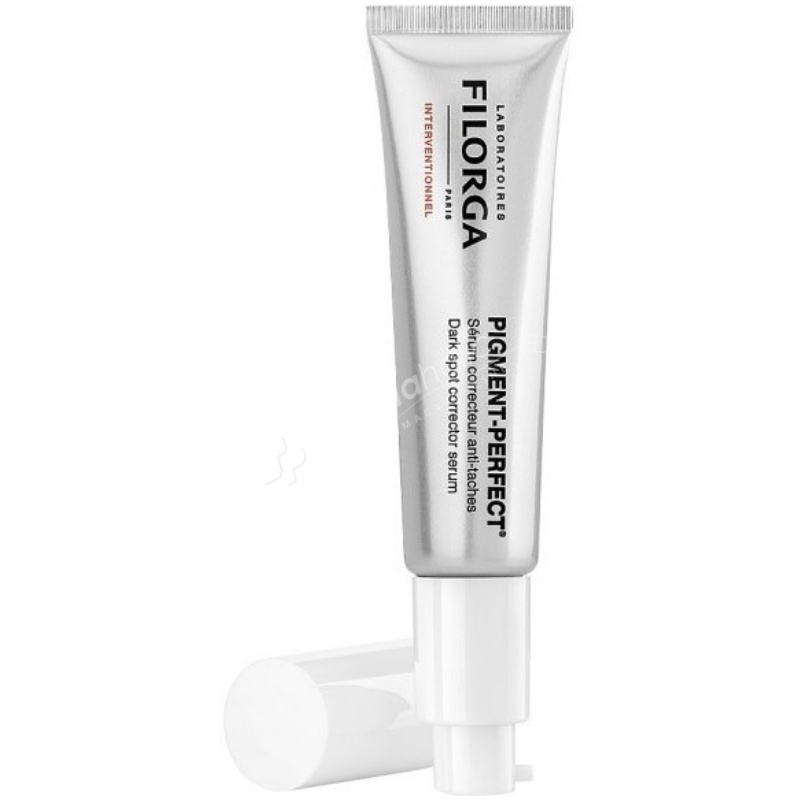 Filorga Pigment-Perfect Dark Spot Corrector Serum is an ultra concentrated serum which attenuates the appearance of dark spots, evens out the skin and enhances the complexion. Day after day, the complexion becomes more even and the appearance of spots are diminished. A multi-correcting serum to reduce dark spots, for an even complexion and luminous skin. Dark spot correction: A hop extract to reduce the size and intensity of dark spots. Skin tone evening action: Niacinamide is combined with a plant-based antioxidant to reveal a clear and even complexion. Complexion Evenness: Niacinamide is combined with a plant-based antioxidant to reveal a clear and even complexion. Apply daily, in the morning and/or evening on the whole face, focusing on dark spots. For an intensive treatment, use PIGMENT-PERFECT before PIGMENT-WHITE cream for at least 12 weeks. For all skin types. Aqua (water), hydrogenated polyisobutene, caprylic/capric triglyceride, arachidyl alcohol, ascorbyl glucoside, cyclomethicone, glycerin, niacinamide, behenyl alcohol, phenoxyethanol, arachidyl glucoside, parfum, potassium hydroxide, xanthan gum, chlorphenesin, sodium citrate, polyacrylamide, biosaccharide gum-1, c13-14 isoparaffin, disodium edta, butylene glycol, citric acid, laureth-7, humulus lupulus (hops) strobile, chrysanthellum indicum extract, tocopherol.